Windows Password Recovery Enhance 8.18 - Download Win Apps. Easy-to-use tool designed for resetting any Windows login password..
WPRE is a powerful password recovery tool designed for resetting lost or forgotten Windows local password, Windows 7 password, Windows Vista password.etc. With a bootable CD/DVD or USB Flash Drive, you can easily reset password and access to your computer in no time. 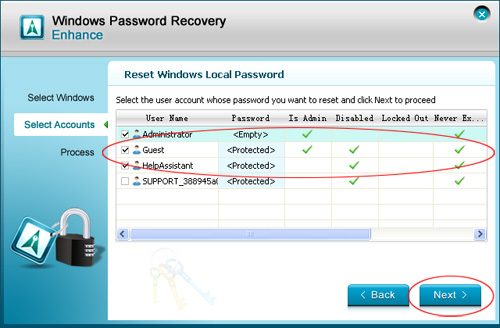 In comparison to Windows Password Recovery Enhance is a professional local and domain password reset tool for business enterprises to reset lost Windows 7 password, Windows Vista password, Windows Server 2000/2003/2008 password and so on.